Zongzi, Neiwan Old Street’s signature snack. Like Pingxi, Neiwan 內灣 is a small township that can be accessed via a special train line. 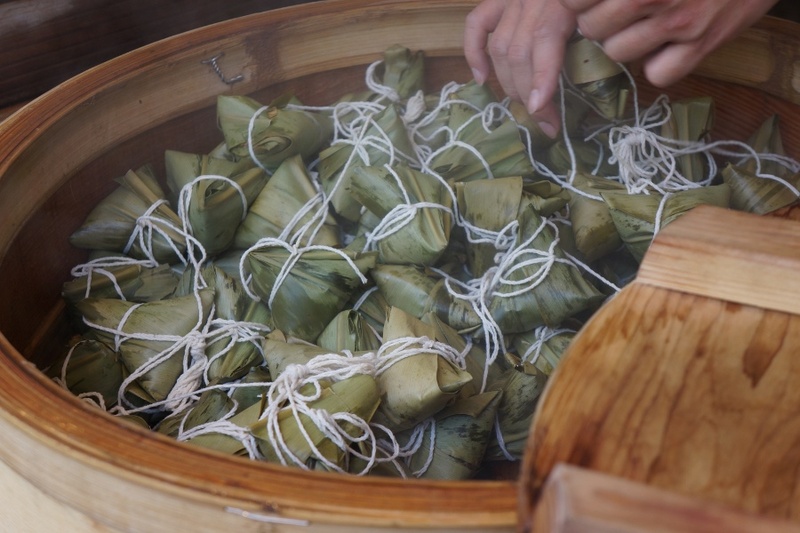 Though ignored for decades, it recently became a tourist boom thanks to its old street highlighted by zongzi (粽子), a rice dumpling wrapped in leaves. The zongzi in Neiwan is special as it’s wrapped in ginger leaves and thus has a distinctive taste. Though Neiwan is not as scenic as other old streets, it’s filled with great food and quirkiness that makes it worth a visit. Check out my pictures for more information.